There are strong economic and business performance arguments driving the desire to see more women enter the IT workforce. The diversity and workforce lead for IBM Australia and New Zealand, Belinda Curtis, points to several studies demonstrating stronger corporate performance when women represent a high proportion of senior leadership or board positions. Beveridge agrees, and says she notices improvement in group performance when the gender balance is addressed. 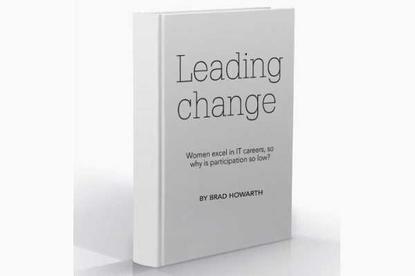 Read Part 1 of Leading change — women in ICT. “Even with a group of coders who are problem solving, if you put a female into the mix they will be much more creative and bounce ideas off each other,” Beveridge says. The evolution of the IT industry itself may go some way to redressing the balance. According to figures from the government organisation Equal Opportunity for Women in the Workplace, when the IT category is expanded to include information, media and telecommunications, the participation rate for women shoots up to 35.1 per cent. These industries include many of the Web-based and digital media roles that are part of the newer activities in IT. According to the chief information officer for Sensis, Grainne Kearns, these new roles mean that IT is being seen as more dynamic, innovative and lucrative now, less likely to be relegated to a backroom. Kearns believes that changing societal attitudes and improving HR policies are also opening up more opportunities. “As we move through time in general, lots of those biases and discriminations that would have been there in previous generations are all being broken down as organisations become more mature and HR policies become more mature,” Kearns says. “The kind of barriers that would have been there before aren’t there anymore. For Eden, the timing of the EXITE camp enabled her to change her final year subjects to follow an IT stream. She is now working as an intern at IBM’s Australian Development Lab at Southport in Queensland, where she is performing development and testing work. She is also studying a double degree in Applied Science and Information Technology at the Queensland University of Technology. “My goal is to work in IT and do development work or IT consultancy, but hopefully more the development side of things to start off with,” Eden says.